by closing the "new job loophole,"
accept future employment while in office. A leading candidate to become the next Seattle Councilmember to represent the 100,000 residents of District 4, Alex Pedersen, is calling on the Seattle Ethics & Elections Commission (SEEC) and current City Councilmembers to reform the ethics laws to prevent future Councilmembers from accepting other jobs while still in office.
" It is the number one job of our elected officials to serve their constituents and, even though they care about our city, it's not realistic to think every Councilmember can remain fully accountable to the residents and businesses in their district after they accept a new job," said Pedersen. "To strengthen the people's trust in their city government, city leaders should work quickly to strengthen the ethics rules by closing the new job loophole." 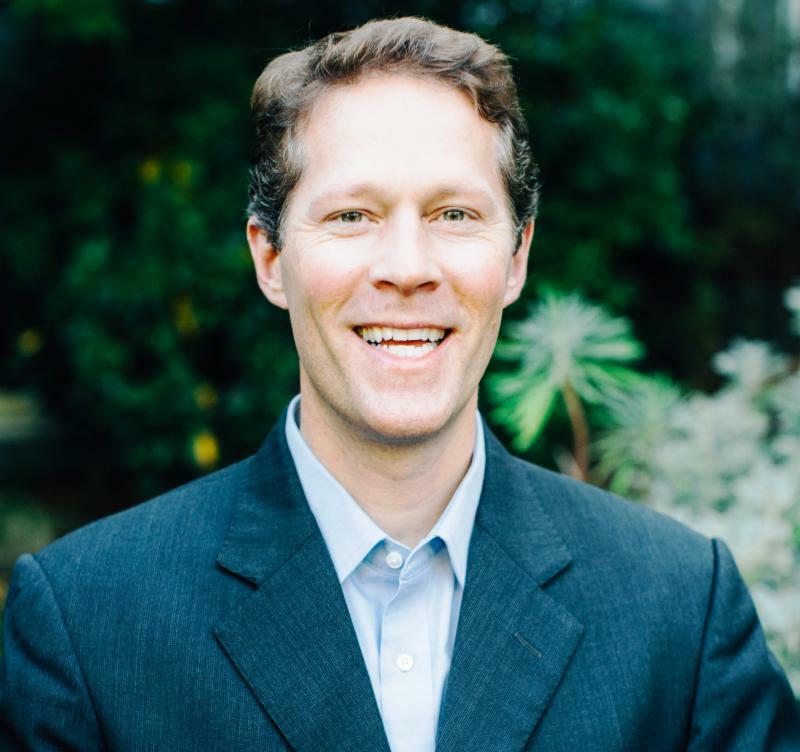 Current District 4 Councilmember Rob Johnson made public on January 11, 2019 that he will join the new company "NHL Seattle" after his City Council term is scheduled to expire December 31, 2019. The private sector position for Johnson, who chairs the Planning, Land Use, and Zoning Committee, could have major implications for land use policies, transportation routes, and city resources -- with a focus outside of his district. "The current City Council has a lot of unfinished business including tackling homelessness, reducing crime, examining their $6 billion budget, and preventing economic displacement of residents and small businesses," said Pedersen. "Ethics reform legislation is needed now to prevent future distractions or potential conflicts of interest so there is greater trust that all City Councilmembers are focused on the basics of city government." Although Councilmembers have historically disclosed conflicts of interest and gifts and then recused themselves from voting on related matters, the current Ethics Code does not anticipate accepting a private sector job while still in office. If any outgoing Councilmember decides to resign before their term expires, Pedersen believes the remaining Councilmembers -- and any caretaker appointed by them to complete a term -- should make it their priority to enact ethics reform legislation before City Council reviews the next city budget and well before democratically elected Councilmembers take office at the end of this year. The ethics code is Section 4.16 of the Seattle Municipal Code (SMC). According to the "Purpose" section of that law, " The City finds that the proper operation of democratic representative government requires that public officers and employees be independent, impartial, and responsible to the people; that government decisions and policy be made in the proper channels o f the governmental structure; that public office not be used for personal gain; and that the public have confidence in the integrity of its government...City officers and employees will demonstrate the values of integrity in the performance of the City's business, accountability to the law and to the people we serve, stewardship of the City's resources, and independence in the performance of our jobs." The Commission is composed of seven members, with three members appointed by the Mayor, three members appointed by the City Council, and final member appointed by those six members. The SEEC is governed by Section 3.70 of the SMC which states, " The Seattle Ethics and Elections Commission is established to administer the City's Code of Ethics (Chapter 4.16 ); to administer the Election Campaign Code and its campaign matching fund program (Chapter 2.04 ); to publish the City's election pamphlets (Chapter 2.14 ) and to administer the Whistleblower Protection Code Sections 4.20.800 through 4.20.880 ). " 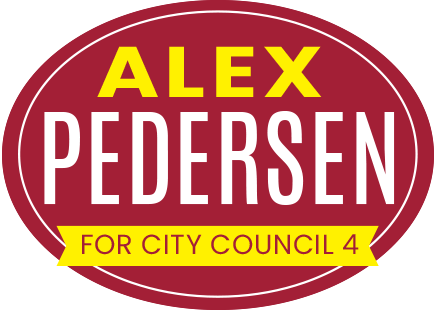 Alex Pedersen is the first candidate in the entire city to qualify for the city's Democracy Voucher program in this year's Council campaigns and has also been a leading fundraiser as he runs on a platform of accountability, transparency, and results. Pedersen announced his campaign on November 28, 2018 for District 4, which Rob Johnson was planning to leave December 31, 2019. District 4 is home to approximately 100,000 residents in 15 neighborhoods including Bryant, Belvedere Terrace, Cowen Park, Eastlake, Hawthorne Hills, Inverness, Laurelhurst, Magnuson Park, Maple Leaf, Ravenna, Ravenna Springs, Roosevelt, Sand Point, the U District, University Park, View Ridge, Wallingford, Wedgwood and Windermere.